Existing Shopbop deal - US$10 shipping fee for orders below US$100. Shopbop's T&Cs apply. Shopbop Promotion: Check out the latest Fashion Finds here! With a comprehensive, hand-picked collection of apparel and accessories from the industry’s foremost contemporary and designer labels, Shopbop, has become the go-to online retail destination for modern style. Along with renowned customer service, Shopbop delivers unparalleled wardrobe advice, cutting-edge editorial look books, innovative features, and exclusive collaborations with forward-minded brands. The result is a highly personalized, satisfying, and fun shopping experience that caters to style-minded women around the globe. Shopbop was founded in 1999 in Madison, Wisconsin, and features products from more than 75 leading designers including Marc Jacobs, Juicy Couture and True Religion. 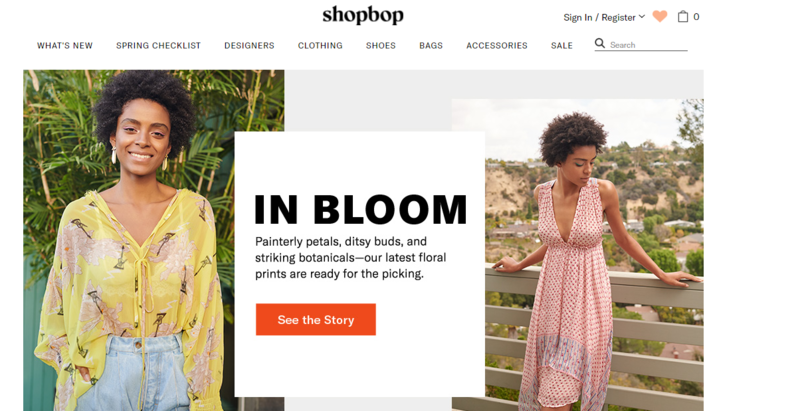 With a wide array of apparel, accessories and shoes made available to customers across the globe through its online store, Shopbop soon became a popular destination for fashion-savvy consumers. 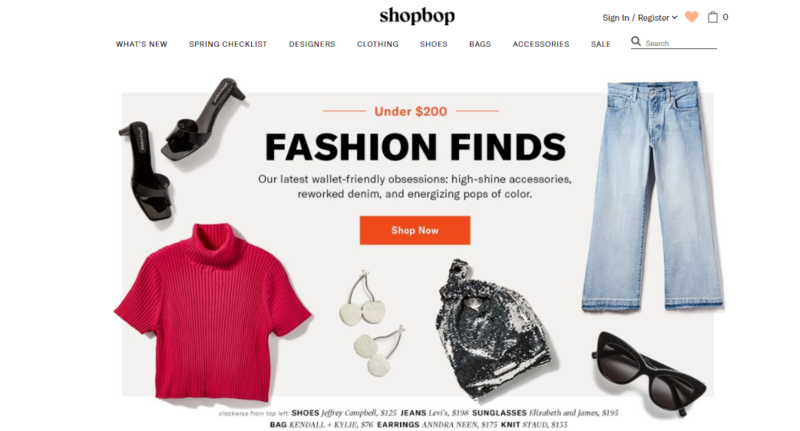 In 2006, Shopbop was acquired by Amazon.com, Inc., the world's largest internet retailer, enabling Shopbop to expand its services to enhance the customer experience. A trusted, globally recognized fashion merchant, Shopbop sells only quality, authentic designer merchandise and is a part of the Amazon.com Inc. group of companies. Shopbop offers customers across the globe trendy and fashionable clothes for a chic wardrobe. The website has different sections for clothing, shoes, accessories and other major categories for easier browsing. In addition, one can also find updates on the upcoming fashion styles such as the Spring collection or Shopbop best sellers on the home page itself. Here we bring you a preview of some of the products available on Shopbop. Along with latest styles and fashionable clothing, customers can also enjoy huge discounts with a Shopbop coupon. 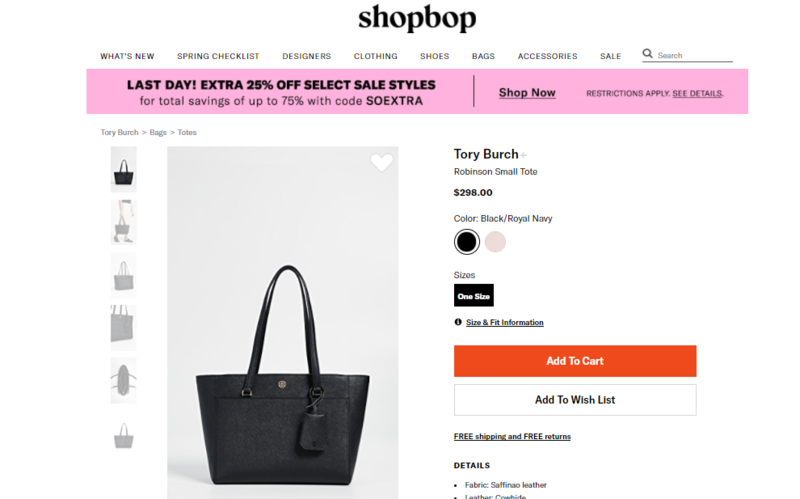 The Shopbop Sale section on the main page offers customers huge savings across categories for a trendy wardrobe without depleting the savings. Here, one has the option to browse through products ranging from up to 20% off to 70% off. In addition, one can also get access to exclusive Editor Picks priced under $100. To keep your wardrobe stylish and trendy be sure to visit this section often and take advantage of the Shopbop discount. Step 1: To shop for your favorite fashion accessories and clothing, start by signing in or registering for an account on the website. This will allow for a quicker checkout later on. Step 2: Search for something specific by using the search bar or if you’re looking for a particular type of item you can browse by category located along the top of the page. You can filter your search by size and colour or sort your results according to the options given at the top. Step 3: Once you have found the item you want, select your size (if applicable) and click on the ‘Add To Cart’ button. You can also read Shopbop reviews by users who have purchased the item for more information. Step 4: You can either continue shopping by reserving the item in your cart for 30 minutes or Checkout to complete your order. Step 5: Review your cart and if you’re happy with the items in your shopping bag, click ‘Checkout’ to complete your order. In case you have a Shopbop discount code you’d like to use, key it in the box provided before checking out. Along with latest fashion trends, customers in Malaysia can also enjoy amazing offers such as free shipping and Shopbop cashback when they shop via ShopBack. Some of the best Shopbop coupon codes on ShopBack have been detailed below. Free express delivery Up to 4% Cashback Free express delivery to Malaysia for orders above US$100 and easy returns. A shipping charge of US$10 will be applicable for orders below US$100. Step 1: Visit the ShopBack website and click on the Shopbop store at the bottom of the homepage. You can also use the search box to find the link to the merchant store. Step 2: Click on “Activate Cashback” button on the top left corner of the page. Step 3: If you are interested in finding the latest Shopbop coupon code, check out the Promo codes, coupon codes, vouchers and discount codes section. 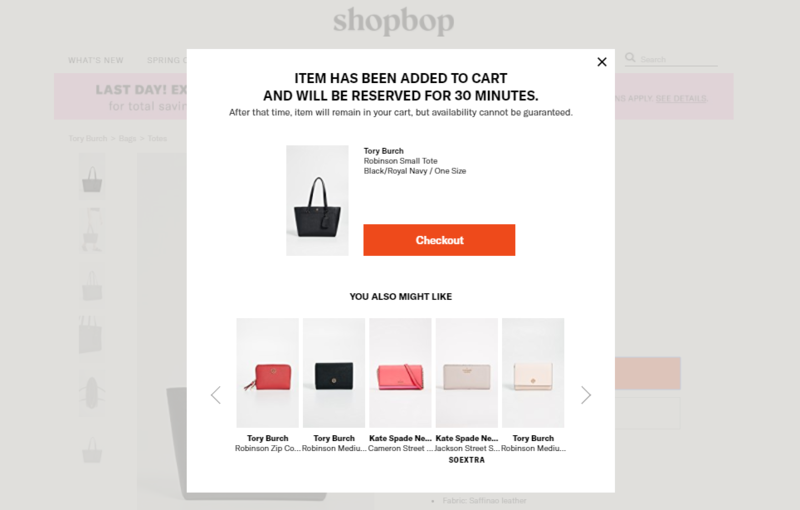 Step 4: You will be redirected to the Shopbop website to browse and select the items. Step 5: When you place the order, you will be eligible to earn cashback from ShopBack. The cashback rates differ based on product categories and based on whether you are a new or an existing customer. Orders are processed pending availability and credit verification. Orders placed on Friday after 7:00pm US CT (Central Time) will begin processing on the following Monday. Please note: Once an order has been placed, it cannot be modified or cancelled. Shopbop will contact you with a follow-up email if the merchandise you have selected is not currently in stock or if they need additional information for credit verification. Delivery time does not include Sundays or holidays. Refunds are issued for missed guaranteed shipments and will be processed by Shopbop within 7 business days. Please allow your financial institution an additional 7 to 10 business days to post to your account. Customers can enjoy trendy outfits from Shopbop delivered right to their doorstep via the following shopping options. Import Duties and Taxes Prepaid and added to your total. Due on delivery, paid to the carrier. Due on delivery, paid to the carrier. To enable returns on Shopbop, customers must comply with the following rules. ●	Merchandise must be returned within 30 days. ●	Merchandise must not be worn, altered, or washed. ●	Merchandise must have all tags attached and be returned in original packaging. ●	Merchandise returned without the original security tag, or a damaged security tag, may result in a delayed refund or may not qualify for a refund. ●	Footwear must include the original shoe box in its original condition, without postal labels. Shoe box fees are charged when footwear is returned in a damaged shoe box, or without the original shoe box. ●	Final Sale items may not be returned. Please Note: Shipping and handling charges are not refundable. Packages that arrive COD may be denied, or the COD amount may be deducted from the return. Customers can opt for returns easily with the help of DHL Online by following the steps outlined below. Step 1: Go to My Account, select Order History and click the Return Items button. Select the items you want to return. Step 2: Print all the required documents and prepare the box for shipping. Step 3: Drop off your package at DHL or schedule a pickup. (Phone Number): 800-810-8000. For other international return options, customers can also do the following. Step 1: Complete the return form included in your order and securely repackage your merchandise. Cover or remove any original mailing address label or carrier barcodes from package. NOTE: When returning footwear, do not use your shoe box as your shipping box. Step 2: Place the return form from your original invoice on the outside of your package, along with your customs document, to expedite delivery. Step 4: Ship your package using a trackable, insured shipping method. Shopbop cannot accept responsibility for return packages. Please keep the tracking details for your records. Step 5: You will receive an email once your return has been processed. Please allow 5 business days from the time Shopbop receives your return for it to be processed. If your package arrives at Shopbop within the 30-day timeline specified above, your refund will be processed in the original form of payment within 5 business days. You will be notified via email when this transaction has taken place. NOTE: Your bank may need extra time to process a refund after receiving the information from Shopbop. For any additional concerns or queries, customers in Malaysia can easily reach out to the assistance team at Shopbop via the following ways. Additionally you can also follow the brand on social media for instant interaction as well as to get access to the latest Shopbop voucher code and other exciting offers. For similar products, be sure to also check out Asos and Zalora.